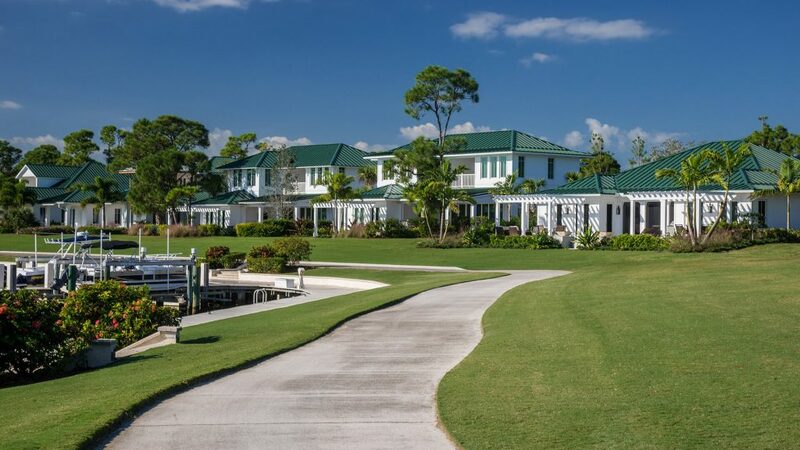 Nestled among naturally wooded preserve or taking advantage of St. Lucie River and Marina views, the cottages provide the perfect setting for a golf getaway, romantic weekend or just some quality time with family. Each one of our cottages has been designed with the same elegant yet comfortable look and feel as the Clubhouse, offering inviting floor plans with full kitchen, open living areas, comfortable furnishings and high-end finishes; sleeping up to 8-12 people respectively. Beautifully landscaped outdoor space offers additional opportunities to enjoy these residential style retreats. Take advantage of the expansive outdoor patios, where oversized furnishings beckon you and provide an ideal backdrop for entertaining and a perfect setting to enjoy the sunset and beautiful Florida weather.